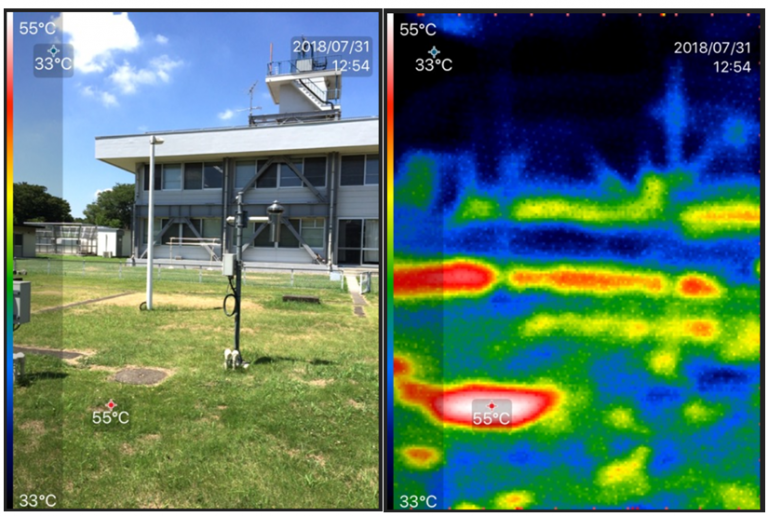 Thermal Imaging Shows Japan’s Recent Record High Temp An Artefact Of Urban Heat Sinks! The media like the New York Times here hyperventilated over Japan setting a new all-time record high temperature on Monday. According to the Times, the temperature hit a high of close to 106 degrees on Monday at a Japanese location outside Tokyo. 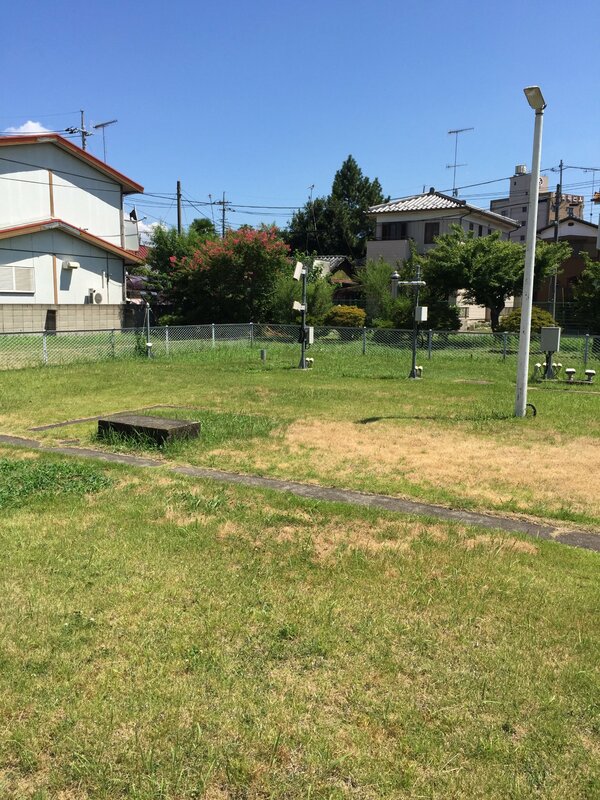 Japanese blogger Kirye, who happens to live in Tokyo, informs that temperature reading was recorded at the Kumagaya weather station, some two hours outside of Tokyo. It turns out there’s a story behind that all-time “record high” and that it likely got a little help. 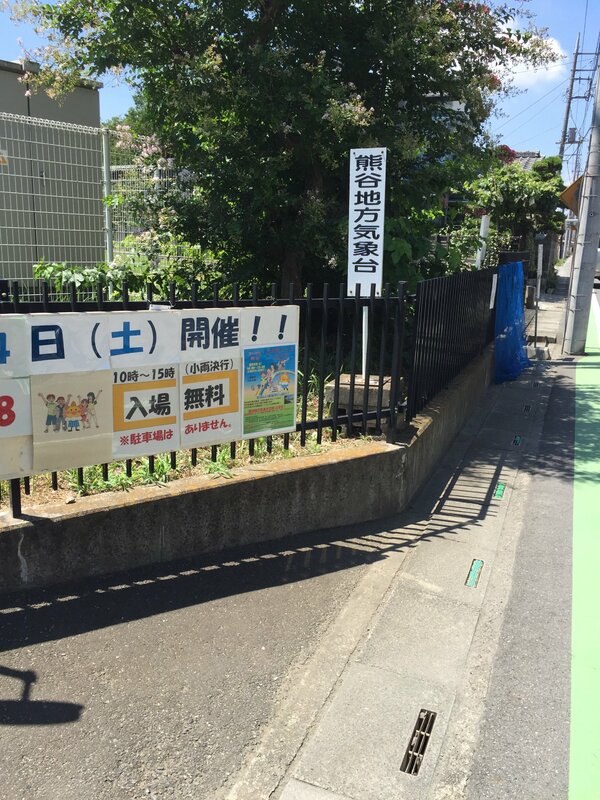 Kirye decided to take the 2-hour commute to Kumagaya. Armed with a SEEK brand thermal imaging attachment for her mobile phone, she made thermal-image photos of the record-setting station. 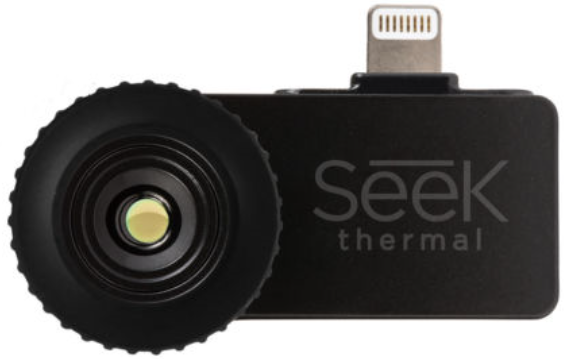 SEEK thermal imaging attachment for mobile phones. 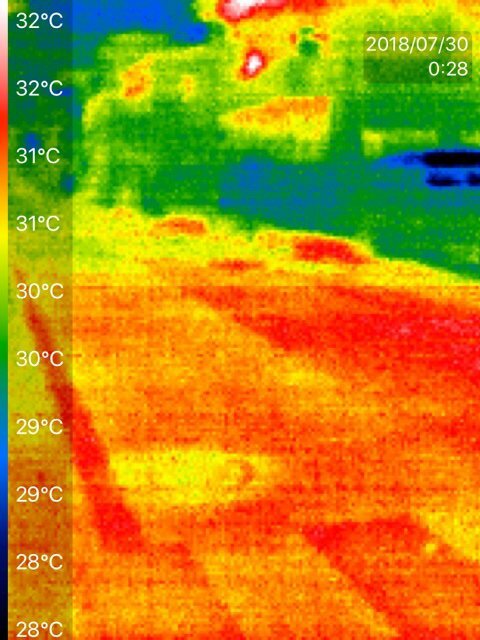 It turns out that the record temperature that the media like the Times got all excited about has little to do with global warming, but likely a lot more with the urban heat island effect, where nearby asphalt, steel and concrete act as huge summertime heat sinks and so distort the readings of nearby instruments. Note in the photo above the tall building to the left and surrounding asphalt street and concrete and steel structures. The white arrows in the images indicate the equipment containing the thermometer. 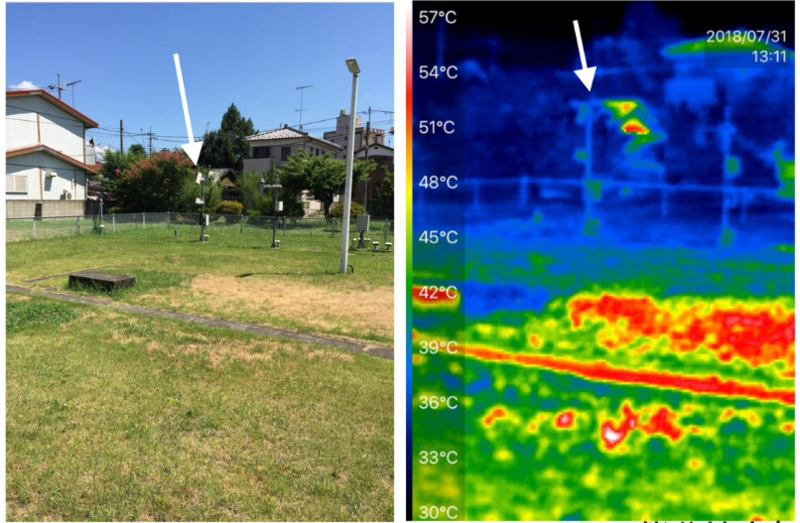 Although the siting of the instruments is not as bad as some we’ve seen documented by Tony Watts, it is far from being optimally sited, located in an urban environment, surrounded by buildings and other heat sinks. Spider webs choking up the instruments? Yet don’t expect NASA to rush to adjust the temperature downward here, should that station data in fact be used. By the way, NASA assigned a Brightness Index (BI) of 82 for that station, which is way above the index of 10 or less that is needed to qualify it as a “rural” station. That index shows pretty urban conditions.